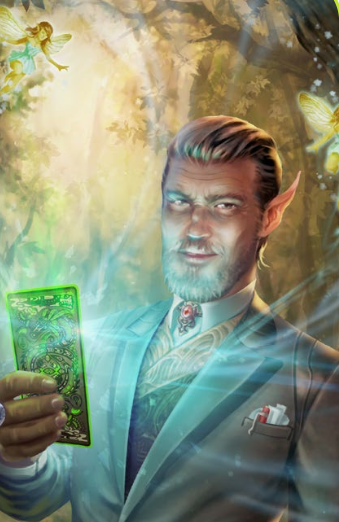 An expert at travelling between the Seelie Court and Tir na nOg, it is unclear whether Lady Brane Deigh tolerates his presence or merely cannot prevent it. The family black sheep, he has been rumored to be connected to anti-Tir rebels and factions for decades, but nothing ever quite sticks. A lot of people would like to see him brought down a peg, but with the aid of his ally spirit Mathanas, he seems to never let down his guard. Possesses the Ring of Truth, bequeathed to him in Big D’s WIll, and tends to wear a style that seamlessly blends the style of the 6th World and the Court, and works well in both.